Randolph Engineering was founded in 1972 by two Polish immigrants, Jan and Stanley. They met a decade before while working at a small tool & die company in South Boston. In pursuit of the American dream, they ventured out to start their own business in Randolph, MA. The two entrepreneurs built tooling, dies and machinery for the then thriving US optical manufacturing industry. Through determination and a tireless work ethic Randolph Engineering became one of the leading optical tool & die companies in the country. 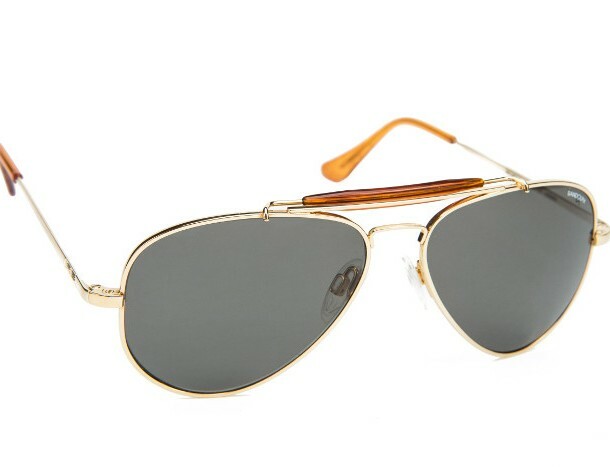 In the late 1970’s Randolph Engineering started manufacturing Mil-Spec Aviator sunglasses for the United States Air Force as a subcontractor producing in excess of 200,000 sunglasses annually. Led by Jan’s sons, Randolph won the government bid to become the prime contractor in 1982. By the late 1980’s Randolph had expanded into the commercial sunglass market after civilians learned about the quality of its sunglasses and prescription frames through military channels. Today Randolph remains an iconic brand accelerated by a growing demand for genuine, well-made products with a strong American heritage. Tried and true manufacturing methods are maintained using the machinery and tooling created by the founders. Randolph Engineering is still owned and operated by three generations of the families along with a highly skilled and dedicated American workforce.